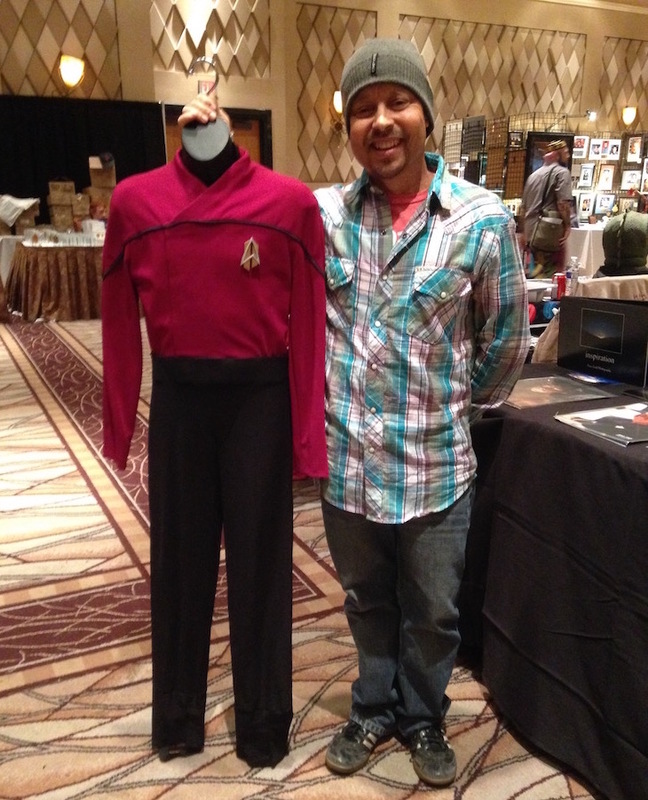 Over the years, starting in 2007, I used to display some of my prop & costume collection at the Star Trek Las Vegas Convention. Sometimes I would have a costume of a guest and I would take the costume over to them and get a photo like above. 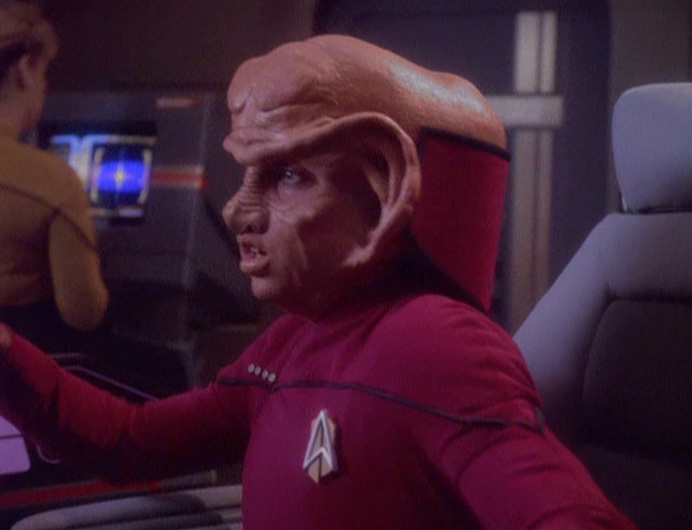 Aron Eisenberg of course played Nog, my second favorite character in Deep Space Nine (behind Garak, my all time favorite Star Trek main character). A few years ago I was displaying his Captain Nog costume from the episode The Vistor. I took it over to Aron, and got him to pose with it. Aron is a great guy, and if you have never met him, you should go up and say hi next time you see him at a convention. I tried to get him for Axacon, but sadly he was busy that weekend. And while I have sold much of my collection, I haven’t sold this gem! It will be on display at Axacon.